Leading up to America Recycles Day on November 15, SPARK classes participated in the Georgia Read for Recycling Week and the SPARK Recycles Challenge! Georgia Reading for Recycling Week! 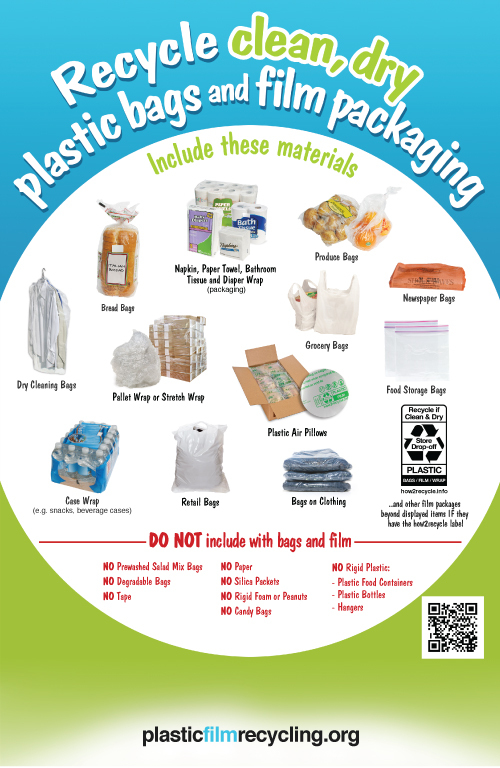 Throughout the week of November 8-15, SPARK students participated in Georgia’s “Reading for Recycling” week (sponsored by the Georgia Recycling Coalition). Any student that turned in a reading log showing 5 books that they read about either recycling or composting, were entered into a drawing to receive a $50 gift card to Barnes and Noble. See below for our outstanding students and classes for our 2014 campaign! We’re still waiting to hear back from the Georgia Recycling Coalition on the winners of the $50 Barnes and Noble gift card! Thank you so much to the volunteers that came in to read throughout the week! 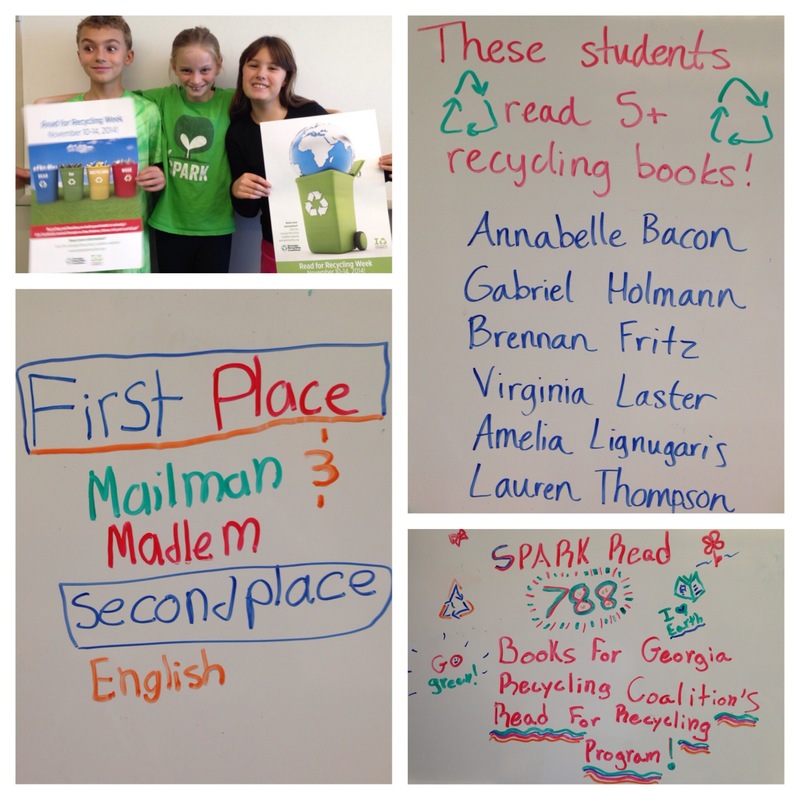 Each day in the week leading up to America Recycles Day, our SPARK Green Team checked the trash and recycling bins of each classroom each afternoon to determine the best recyclers in our school. These classes were rewarded with a special visit with the Waste Pro Recycling Hauler. See the photos from this event here. Ink Cartridges: For this week only, we are also collecting ink cartridges. 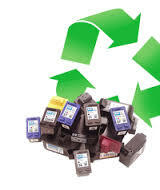 We will receive money for our school with every ink cartridge we recycle!